Irregularity: Little white spots on covers or top right cover bend. 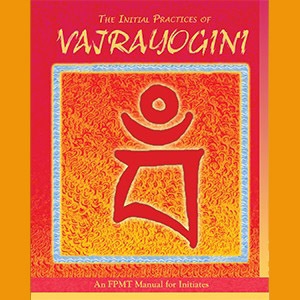 This 2012 edition has been revised and reformatted with special attention to accuracy and a new user-friendly format for retreat and personal practice. With input from three different translators and FPMT's complete editorial team, this is our finest edition yet and one that all practitioners of Vajrayogini will be happy to have on hand! 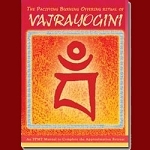 "The Vajrayogini yoga method is extremely powerful. It is just what we need in these degenerate times, with our delusions running rampant and our minds grasping at concretized sense pleasures. Therefore, a method such as this, which has the wisdom to transform delusions, is of the utmost need, especially as it has the profound property of becoming more powerful as delusions becomes stronger." Spiral binding. 291 pages, 2012 edition. 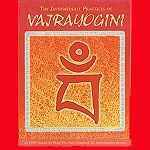 Each of the individual practice texts as well as the complete volume are also available in PDF format.